I'm so excited that the second half of Outlander Season 1 is finally here! Even though I have read the books, I still can't wait to see it on screen, and I'm sure it will continue to be amazing. And of course, there is always dreamy Jamie to swoon over! 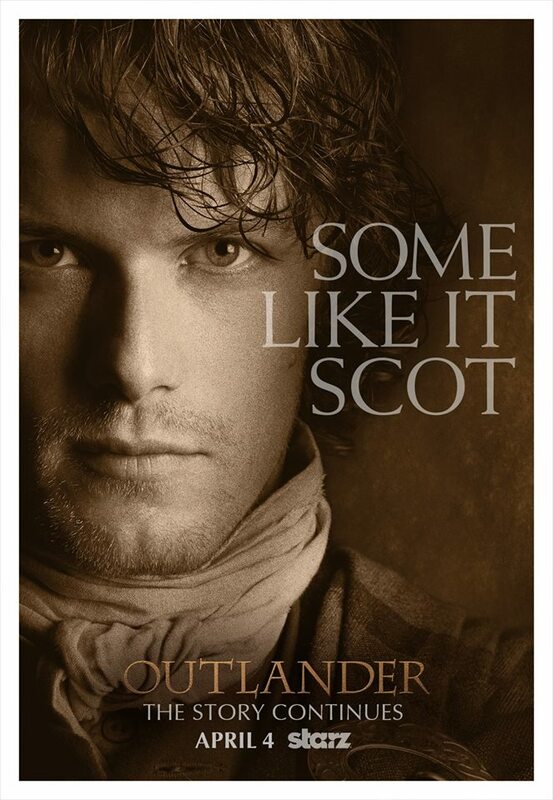 Some of the JBW folk and I are having an Outlander viewing and cast on party tonight, we are so excited! 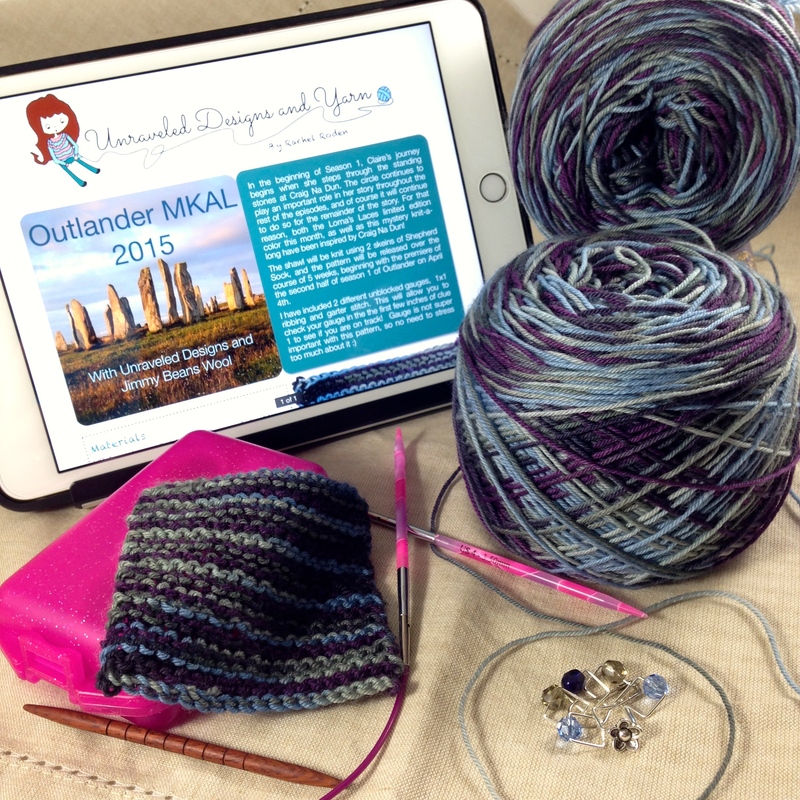 Clue 1 of the Outlander 2015 MKAL begins by casting on just a few stitches, and quickly increasing on one edge from there! For this clue (and the next 2 clues), you may choose to use either a shorter circular needle or a straight needle. You won’t need the super long cord until clues 4 and 5. Also, as for needle choice, I found that something with a little "grabbiness" (technical term, right?) worked really well. I started designing the shawl with my ChiaoGoo's (my absolute favorite needles ever! ), but the stitches kept slipping off the needle, and I could never pick up the yarn over edge right! Once I switched to the Knitter's Pride Marblz, I no longer had that problem. The body of the shawl is completely reversible (even the cables! ), which makes it a little tough to tell the right and wrong side apart in the beginning. I found that putting a locking stitch marker on the right side really helped me keep it straight! As you get farther, it will be easy to see that the yarn overs are always at the beginning of the row on the right side of your work. As for the yarn overs, don't worry, that isn't the finished edge, and we will be coming back to it in a later clue! For now, just try and make your yarn overs as even as possible; they might look a little messy, but don't worry, blocking will help even out those inconsistencies. Finally, since the gauge of cables is quite different from the gauge of simple stitch patterns like those I gave in the pattern info, I want to give you guys a measurement to use as a guideline to make sure you are on track. At the end of section 2, your piece should measure about 2.5 inches wide and 5 inches long (along the cabled edge), slightly stretched. Don't worry if it's not exactly perfect, as long as your close it will be fine! Feel free to contact me here or send me a message on Ravelry with any questions. We also have a supportive and helpful group on Ravelry...those ladies answer questions practically faster than I do! Also, if you haven't had a chance to check out my hand dyed yarn yet, nows your chance! Everything in my store here and on Etsy is 20% off right now with the code APRILSHOWERS2015. 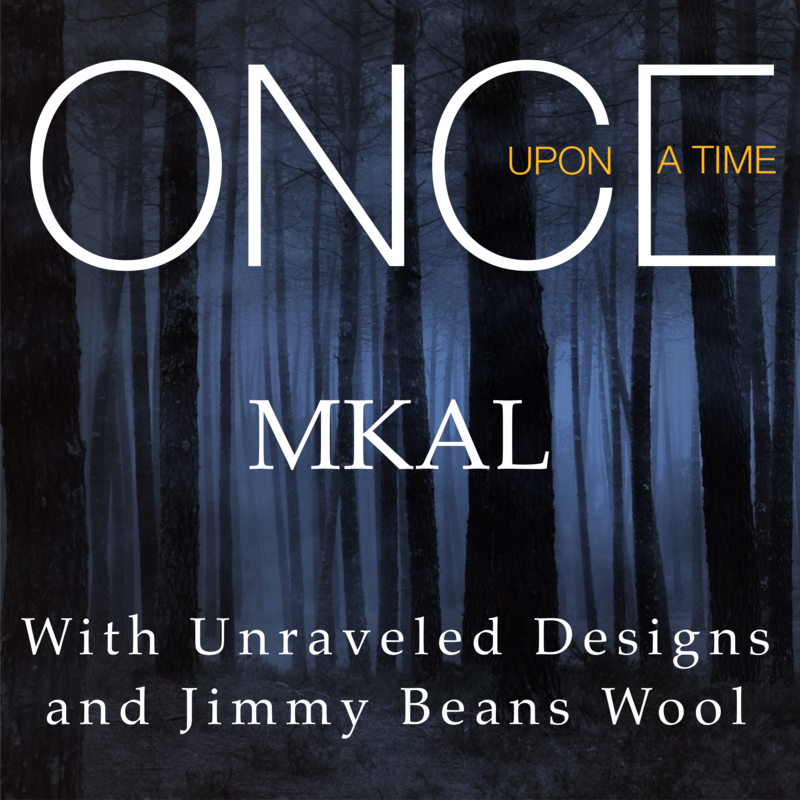 It's time for Clue 4 of the OUAT MKAL, we're over half way there! For those of you that guessed that we would be joining in the round, you were totally right! 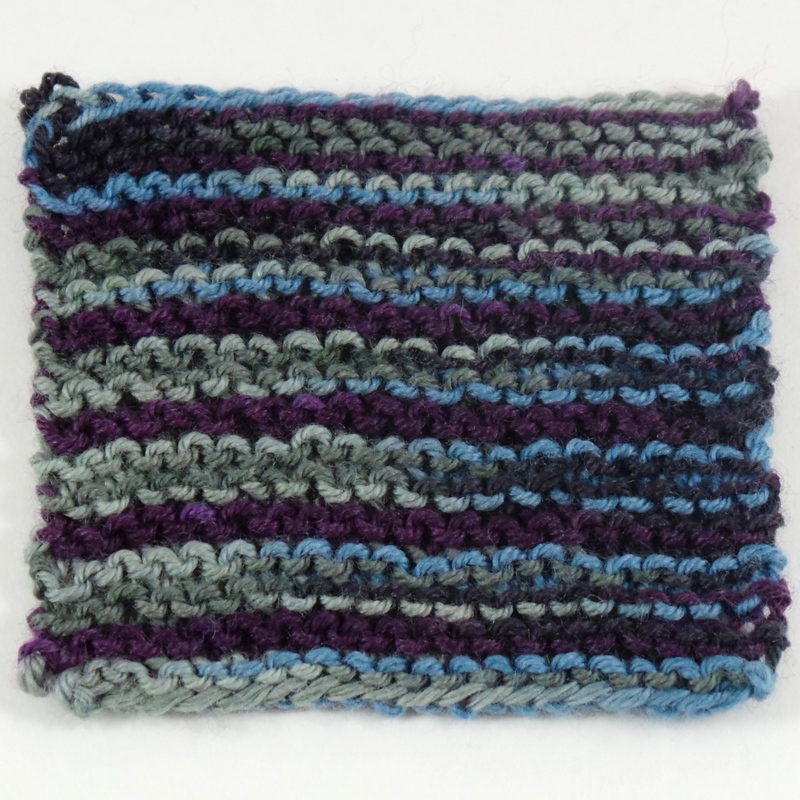 In this section of the cowl, after joining in the round and purling a row, you will be switching to star stitch. This continues the same texture from the mitts for a nice matching set. I know this stitch can be a little hard on the hands, and if you find that you are having trouble, you may want to go up a needle size for this section. Also, try and keep your stitches as loose as possible because that will help! I know some people insert the needle into the 3 stitches to be knit together purl-wise, and then pull on the stitches a bit to loosen them before doing the stitch. It is an extra step but it may be worth the time and effort to save your hands! If you find that you really don’t want to do star stitch than you can just keep doing the woven stitch from the first clue. 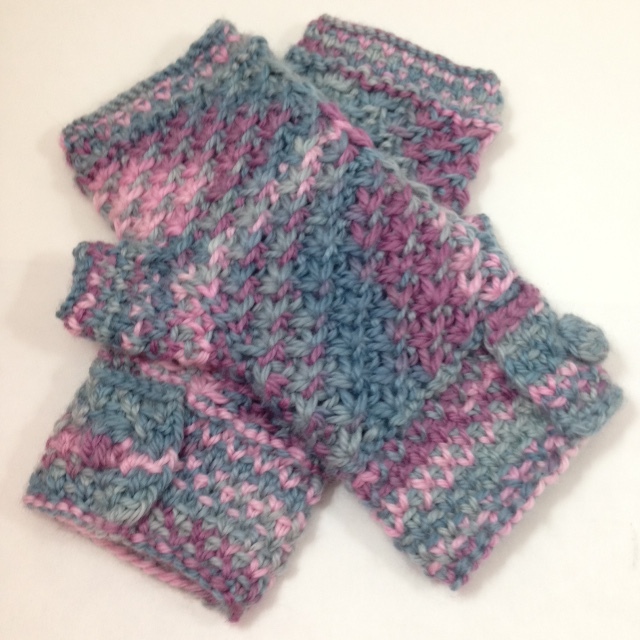 It will still look nice with your mitts, and be much easier on the hands! 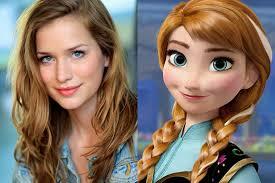 How is everyone liking how the Frozen characters are fitting into the Once Upon A Time plot so far? I am finding that I am really enjoying it and I am very intrigued to find out what happened to Anna and what the story is with the crazy snow queen! It is nice to have some fresh characters introduced into Storybrook and I'm excited to see how the story unfolds! 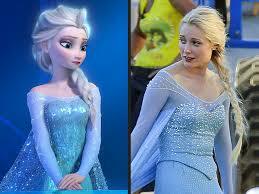 I found these comparison images between the movie and the OUAT characters. I think they did a pretty good job with the casting! What do you think? It's not to late to join in the fun! You can get the Frozen Upon a Time yarn from JBW and the OUAT MKAL pattern from Ravelry and easily catch up. 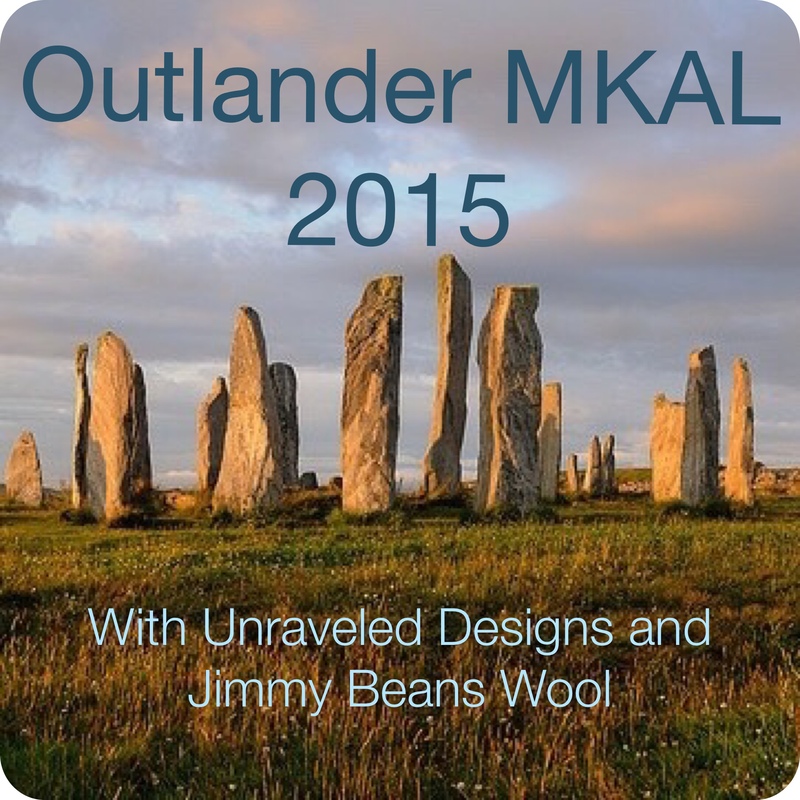 Happy knitting everyone, and don't forget to head over to my Etsy shop and check out my line of hand dyed yarn!